I ran across an article I felt would be worth reading. It’s about the need for good Christian fiction, especially for kids. I think the world needs more stories that exalt light over darkness, truth over deception, and justice over injustice. I’d like for the book of folk tales I’m writing to capture that in some small way. I quite frankly don’t know if I’ll succeed. But I’ll try. Regulars of the blog will probably have noticed that my update schedule has fallen apart lately. I haven’t been able to stick to my regular three posts a week schedule. Posts have been late or missing entirely. Also it’s been weeks since I’ve put up a Storytime Friday, and I left it on a bit of a cliffhanger. So lets talk about that. School is responsible. I have a 20+ hour a week internship, a 10 hour a week job in my school’s computer lab, a job as an English tutor, and now I’m writing articles for my school’s newspaper. On top of that I have classes with their loads of homework and studying. Even worse, I have a lot of friends and distractions here. After a long day of school, work, and interning there’s nothing I want to do more than watch a movie, play a game, or just veg out on the couch with my friends. All this has worked together to try to thwart my productivity. To a certain extent they have been succesful. I’m planning on starting up Storytime Fridays again. Unfortunately it will not be this Friday. This thursday is Thanksgiving, and I will be in no shape to write. Also I have to write a short story this week for my Creative Writing class. So all my efforts will be focused into that. There probably won’t be a post Wednesday either. So what does this mean for the future? Basically, I’m going to have to cut back to a twice a week schedule. There will be an update on either monday or Wednesday, and there will be a Storytime Friday. That’s just how it will have to be until further notice. Wishing you all a happy Thanksgiving! See you next week. Why Bother Being a YEC? Part 2: What’s Good? Well let’s take a look and find out. 1. Evolutionary Theory and Christianity are not contradictory. 3. Evolution is a tool that has been used by God as his method of creation. He presides over evolution, guides it to an extent, and it is part of his plan for our world. All this leads to the Theistic Evolutionist narrative of creation. The story goes roughly like this; in the beginning God used the Big Bang to slowly, over a period of more than 14 billion years in a process that is still going on to this day, create the universe. Over 4 billion years ago God formed the Earth; that is to say he allowed natural processes that he set up to from the beginning of time to form the Earth. 3.6 billion years ago God created the first single-celled lifeforms (or allowed the natural system that he set in motion to create them) which, under God’s watchful eye, slowly evolved into every living thing. Then, at a certain time in the near past (less than 1 million years ago) humans appeared, and God placed minds and souls in them. Then at some point man rebelled against God and was separated from him. Roughly 2,000 years ago God took the form of a man and died on a cross to reconcile mankind to himself. Someday we will all live in heaven where there will be no death or suffering, and we will walk with God. In contrast, this is the Young Earth Creationism narrative of creation. Between 12 and 6 thousand years ago God created the universe and everything in it over a period of six days. He first created the Earth, later created the stars, and also created plant and animal life in their own turns. Finally he created a man and a woman, Adam and Eve. He made a garden for them, walked with them, and they were in harmony with Him. They, and all the animals, were vegetarians. There was no death or disease. God placed nature under Adam and Eve’s authority. The world was very good. Then Adam and Eve rebelled against God. They fell, sin entered the world, and death followed. Nature was cursed because of the Fall. Now animals slay each other, diseases come and go, natural disasters lay waste to the land, and everything dies. Man was separated from God. Then roughly 2,000 years ago God took on the form of a man and died on a cross to reconcile mankind to himself. He paid for mankind’s sins, and opened the door to forgiveness. Someday He will return and this world will be destroyed. Then God will create a new heaven and a new Earth and there will once again be no more death, disease, or suffering. So why should anyone choose the YEC story over the Theistic Evolution story? We could debate about that for hours, and I don’t have infinite writing space (actually, I guess I technically do. I mean this is the internet. But nobody has the time to read all that), so I’m going to sum up the two primary reasons I choose Young Earth Creationism. The first reason is that the story of creation tells us a lot about the character of God. God is all-powerful, so he could have made the world in an infinite variety of ways if he chose too. Whichever way he did choose is important. This isn’t a frivolous matter. The beginning of a story sets the foundation for everything that comes after. So the important question is “Where does our story come from?” My problem with the Theistic Evolutionist story is that it does not come from God, or even from revelations of godly men, but from men and women who do not believe that God exists. This would be fine if we were debating the boiling point of water or the theory of relativity; atheists and agnostics are just as capable as anyone else of performing the experiments necessary to prove either of those. However the matter of the Earth’s origins is in the unobservable and untestable past. What we believe happened in that past is inevitably based on our own assumptions about how the universe works. Most of Evolutionary Theory has been developed by scientists who believed that there was no God. Evolutionary Theory is an explanation for how life could have arisen without a creator. However, as Christians we know that there is a God and that he is the creator. So from our point of view Evolutionary Theory is based on a false assumption: the assumption that there is no God. When dealing with events that happened in the unobserved past having false assumptions will almost inevitably lead to false conclusions. Let’s say I’m investigating a murder. A woman has been stabbed, and her husband is the primary suspect. They also had a family friend staying at the house on the night of the murder. I assume that either the husband or the guest must be guilty because they were the only people there that night. But what if there was a third person involved? If my assumption that it could only be those two suspects is incorrect then I may come to an incorrect conclusion. Now it’s possible that a third person may have been there that night but the husband or guest was still the guilty party. So I could have false assumptions and still come to an accurate conclusion. However, it is absolutely certain that if a third party did carry out the murder then I will never come to a correct conclusion as long as I falsely assume that there was no third party involved. This is exactly the situation we find ourselves in when it comes to the origin of life. We Christians all believe that God is responsible for the creation of life. The scientists who have developed Evolutionary Theory assume that God cannot have been responsible. From their point of view it all had to come about through purely natural processes without any divine intervention. So why should I, as a Christian, accept as fact a theory that is based off of false assumptions? Now there may be a few of you reading who want to point out that it could just as easily be my own assumptions that are false. I admit that readily. It could be that there is no God. If that is the case then my own conclusions about the past will inevitably be incorrect. However since I do believe that there is a God it would be inconsistent of me to act in ways that are contrary to my beliefs. I do not expect atheists to believe in Young Earth Creationism. It would be foolish for them to trust in conclusions that are based off of assumptions they reject as false. All I’m saying is that it’s equally foolish for Christians to trust in conclusions that are based off the assumption that there is no God. Beyond that there is one other major problem with Theistic Evolution. Death. 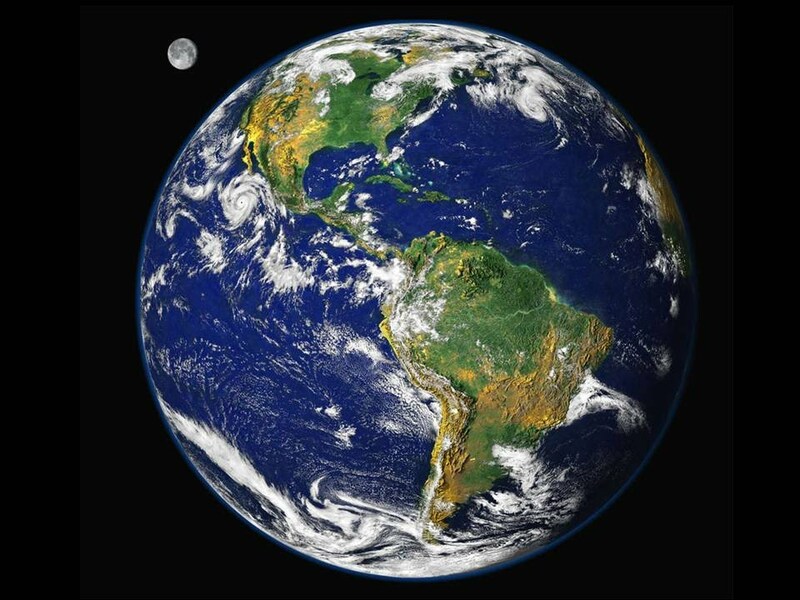 The Earth was originally made perfect. There was no suffering, death, or disease. God, man, and nature existed in perfect relationship to each other. However, God did not create us as robots or slaves but as free willed beings designed in his own image. This makes sense to me; after all, how can you have a relationship with a robot? What good is love if it comes from someone who has no other choice but to love you? So God provided Adam and Eve with another option. If they wanted they could rebel, turn away from him, and go their own way. He warned them that such a course of action would end in death. They rebelled anyway. Because of that sin, death entered the world. The suffering we see around us today was not the original plan. It’s not the way things are supposed to be, and it is not the way things will forever be. God entered our world, suffered, and died on a cross for our sins. Because of that we all can repent of our sins and be reconciled to God. Someday Jesus will return and our fallen world will be destroyed and God will create a new Earth, as perfect as the old one was meant to be. However this answer to the question of suffering is almost completely incompatible with the Theistic Evolutionist point of view. Evolution is fueled by death. Creatures change over time because certain traits allow them to outcompete the other organisms in their ecological niche. Survival of the fittest. Theistic Evolution gives us a history of billions of years of death, disease, and suffering before humans ever appeared on Earth. This was all part of God’s plan. God chose to create through competition, pain, and death. From the very beginning God planned for killing, birth defects, and cancer. All of these things are perfectly natural parts of God’s “very good” creation. Then man came around, and lived in harmony with God. Perhaps they were immortal, or perhaps they weren’t. In any case man chose to rebel against God, and now we suffer along with the rest of creation. God became a man and died so we could be reconciled. Someday we will live on a new Earth which, inexplicably, will be free from the suffering, death, and disease, that has characterized all of existence up to this point. The God of Theistic Evolution is a God of death and pain, the architect of all cancers and pathogens, all mutations and disabilities, the designer of exploitation, slaughter, and parasitism. A God who delighted to create a world where mother animals kill their own children, insect larva slowly eat creatures from the inside, and wolves eat rip apart and consume still living prey. Where that was the plan. That’s the story Theistic Evolution tells us about God. And that is not the God I serve; nor, I would say, is it the God we see depicted in the Bible. And that’s why I bother with being a YEC. There’s a lot more I have to say about Young Earth Creationism. No doubt I’ll there’ll be posts on them in the future. But for now I’ve explained what I set out to: what Young Earth Creationism is, how you can be a YEC without being against science, and why it matters at all. I hope you got something out of this. Who knowns what I’ll be writing about next week. Last week I explained what it means to be a YEC and how you can be a YEC without giving up science. However a larger question remains; why would anyone bother becoming a YEC at all? It certainly would be easier not to be one. Young Earth Creationism carries a lot of social stigma along with it, even among Christians. Also, though it is very possible to be a YEC and believe in science it is certainly not the easiest position to take. Why not just accept what most scientists say about the age of the Earth and evolution? Plenty of famous and productive Christians have without compromising their faith. So why bother? In the last two posts on this subject I have been trying to speak to everyone, from Christians, to atheists, to Buddhists, to agnostics. However when it comes to answering this question I’m afraid what I have to say will likely only be relevant to Christians. As far as I can tell there is no particularly good reason for an atheist to become a YEC other than the fact that I believe it is true. Because the creation of this world (whichever way it happened) was an event in the unobserved past I can’t exactly perform some experiment or find some evidence that would definitively prove to you that the Earth is only thousands of years old, just as you could not definitively prove the opposite to me. Members of a few other religions might have theological reasons to believe in a young Earth, but the arguments I am about to make have no relevance to their own beliefs. I can’t even make a case for why a Muslim or a Jew should be a YEC, even though we share the same scriptures when it comes to creation. That’s because my primary arguments have to do with Jesus himself. If you are not a Christian then perhaps you will find these next two posts entertaining. If you are a Christian then I hope that you will consider my words and decide for yourselves whether they have merit. For Christians the idea of all life evolving from a single life form and the Earth being billions of years old (for the sake of saving space, I’m just going to refer to this idea as Evolutionary Theory, though as I said in my last post YECs believe in evolution also) contains a problem within it. That problem is that Genesis claims that the Earth is only thousands of years old and that all life was created in an advanced state over a period of six days. There are three general approaches to solving this problem. The first is to reject Evolutionary Theory as being false and to believe that the Genesis account is true; this is the Young Earth Creationist approach. The second is to reject Genesis as being an accurate account of history and to accept Evolutionary Theory as being true; the only difference is that you believe that God started Evolution on its course, and has been watching over and guiding its progress. We’ll call this approach Theistic Evolution. The third approach is a mixture of the previous two–namely attempting to interpret Genesis in such a way that it is still a true account of creation but also does not disagree with Evolution Theory. We’ll call this approach Compromise. Let’s take closer look at it. The Compromise approach takes on many names and is fairly popular in Christian circles. At its most basic and un-reflected upon form it’s just a general idea that the Bible is true but Evolution is true as well, and they’re sure it all works out somehow. If it comes up in conversation you’ll likely hear phrases such as “God works in mysterious ways”, “Who are we to say how it happened? God can do anything.”, and “I can’t wait until we get to Heaven and can ask God how it happened.” Still it would be extremely unfair to paint everyone who holds the Compromise approach in this same light. Some have really thought about it, and have come up with some solutions to the apparent inconsistency between Genesis and Evolutionary Theory. One solution is the Day Age Theory which states that each “day” of creation was actually a period of millions and millions of years. Each creation day is just a period of time in which God, through evolution, created higher and higher forms of life. Others hold to the Gap Theory which says that there are large gaps of millions or billions of years between certain parts of the creation account. Where those gaps are depends on whether you believe in Pre-time Gap, Ruin-Reconstruction Gap, Modified Gap, Soft Gap, or Late Gap. I’m not going to go into all of them here, but you can look them up if you’re interested. Historically the most popular Gap Theory has been Ruin-Reconstruction. This theory puts a gap of billions of years between the first two verses of Genesis, which I will quote here. “In the beginning God created the heaven and the earth (Genesis 1:1). And the earth was without form, and void; and darkness was upon the face of the deep. And the Spirit of God moved upon the face of the waters (Genesis 1:2).” The idea is that the first verse depicts God creating all the heavens and the Earth. Then life, under God’s watchful eye, evolved on Earth. Billions and billions of years past while life developed, and the different geological epochs played themselves out on the Earth. Life evolved through the invertebrates, the dinosaurs, the first mammals, and finally to the pre-humans apes. Then Satan rebelled against God, there was war in heaven, and all life was wiped out in a terrible catastrophe. After that verse two happens, and the rest of Genesis follows it. God recreates everything in six days and history goes on. So those are the Compromise positions in a nutshell. Unfortunately they both have some big problems. Let’s look at Day Age Theory first. As a reminder, Day Age believers say that each day of creation was actually a period of millions of years. That would be fine and dandy except that the theory still fails to bring Genesis and Evolutionary Theory into harmony. The problem is the order of creation. Genesis says that Earth was created before the sun or the stars, the oceans before the land, fruit trees before animals, marine mammals before land mammals, and birds before land reptiles. Evolutionary theory states that the stars and sun were created before the Earth, land before the oceans, animals before fruit trees, land mammals before marine mammals, and land reptiles before birds. So even if each day really represented a period of millions of years in which the life forms created evolved they would still be all out of order and unable to mesh with Evolutionary theory. Some Day Age proponents have tried to fix this by claiming that the “days” overlapped in time. Unfortunately in order to have the “days” get anywhere close to matching Evolutionary theory you have to stretch them or condense them in ridiculously arbitrary ways; for example, Day Five (in which all oceanic life is created) would have to stretch from Day Two through day Six and Day Three would extend from Day Two to Day Five. And what do you do about the stars, which aren’t supposed to be created until Day Four and Evolutionary Theory would place as being older than the Earth, which is created on Day 1? It’s at this point that you start to ask yourself why you’re bothering with this at all. You might as well just give up and join the Theistic Evolutionists and say that Genesis is not a true account of creation, or join the YECs and say that Evolutionary Theory is incorrect. Continuing to try to make the two systems work together by rejiggering the numbers will never work in any meaningful way. So what about Gap theory? Well, quite frankly, I think the problems with it are self-explanatory. Namely that there is absolutely nothing in scripture that would lead someone to the conclusion that the vast majority of Earth’s history occurred between verses 1 and 2. Nowhere is there any indication that this is so. If you can put such a large gap there then you can just as easily put them anywhere. Why stop at Evolutionary theory? We could make Christianity compatible with so many world religions using gaps! Why we could say that all the stuff recorded in the Hindu holy texts occurred between the first and second verses of Job, and then shove some Greek mythology into Leviticus while we’re at it. It’s entirely arbitrary. Beyond that it suffers from the same problem of Day Age Theory; namely, the problem of the sun and stars being created on Day Four of creation, a creation that supposedly happened after billions of years of life on Earth. Why did God wait so long to create the sun and stars, if that’s the case? Did the Earth just float through a black void for 4 billion plus years? Was it warmed and lit by some mysterious unknown force? Or did the sun and stars exist and just get wiped out completely with everything else? How big was this catastrophe anyway? Maybe if you work hard you can find a way to make these Compromise theories work, by why bother? Why not just join the Theistic Evolutionists or the YECs? I mean from the secular point of view you aren’t winning any points. Who is really impressed by these theories anyway? Scientists who hold to Evolutionary Theory and Theistic Evolutionists are going to find your position as ridiculous as they find the YECs, and vice versa. By trying to make such completely opposing views of Earth’s origins conform to each other they end up failing to be true to Genesis or Evolutionary Theory. So it comes down to the other two approaches. Either Theistic Evolution is correct, and Genesis is not meant to be a true account of history, or the Young Earth Creationists are correct and Evolutionary Theory is wrong. I’ll talk about that on Wednesday, and get to the crux of why I bother with being a YEC. So on Monday I talked about the basics of Young Earth Creationism. I don’t think the concept is too hard to understand. YECs believe the Earth is thousand of years old instead of billions, and they think what happened in Genesis is true. What’s harder to understand is how a YEC can believe all that and still believe in science. I mean if you’re going to be a YEC then you’ll just have to give up on science, right? Because science says that the Earth is 4.54 billion years old. So science must not work if the Earth is actually 12-6,000 years old. Only, science does work. It works really good. Science has given us computers, sanitation, engineering, airplanes, vaccines, the internal combustion engine, and processed cheese. Science put our satellites in orbit, finds ore underground, and makes goats that create spider web proteins in their milk. Science has taught us how to do everything from baking perfect bread to putting robots on other planets. What I’m trying to say here is that science is pretty freaking awesome. Without a doubt it works. So, the debate is over then. Unless I want to live some kind of philosophically hypocritical duel intellectual life I am going to have to give up on Young Earth Creationism. Either that or recant the previous paragraph and pretend that science is a crock. I can’t have it both ways. What I’ve stated above is a pretty common argument against Young Earth Creationism. Unfortunately it doesn’t really work because it’s based on false assumptions. People say things like “The Earth is 4.54 billion years old” and “The boiling point of water at sea level is 212 degrees Fahrenheit” as if they were both scientific facts. When in actuality the truth is a wee bit more complicated than that. What we really need to ask ourselves is “What does science do?” It’s no use answering by saying “Science gives us things, like the airplane!” Science did not give us the airplane; people did. Specifically the Wright brothers. Science did not give us penicillin; Sir Alexander Fleming did. Now both the Wright brothers and Sir Fleming used science to make their great discoveries. Without science it would have been almost impossible. What’s important to remember is that science is first and foremost a tool. So what does this tool do that makes it so useful? If you’ve taken any basic science class then you should have learned about the scientific method. The scientific method is simple enough to be taught to fourth graders, and deep enough to to qualify as one of the most powerful ideas in history. First you make an observation: Birds fly, but I don’t. This leads to a question: Why can’t I fly? Then a hypothesis must be developed, and a hypothesis is essentially a guess: I can’t fly because I don’t have wings; if I built wings for myself then I would be able to fly! Next comes a test, and this test must be scientifically rigorous. There must be a control experiment first: I’ll try flying without wings, just to make sure I haven’t been able to fly this whole time and didn’t know it. Ouch! Then repeat the experiment with only the critical variable changed: Alright, lets try it again with these lovely wings I’ve crafted. Ouch! Finally the results of the experiment are recorded and observed, which starts the whole process over again. This is the essence of science: performing experiments, recording data, and making more complex observations and hypotheses which of course lead to more complex experiments. It’s directed and methodical learning. Another important part is that there must be other scientists who can repeat your experiments in order to confirm your results. Maybe you try out that wing test and you actually glide a little. Unbeknownst to you the reason for your glide was that your manufactured wings caught some rising hot air coming off the roof of a bakery. Another scientist might repeat your experiment and fall like a stone. If enough scientists repeat it and fail to glide you know that something messed up the variables in your first experiment. Or maybe you invent the first hot air balloon and nobody believes you. Well, all they need to do is test it themselves and they’ll have the truth. So that’s science, and it has been through the tool of science that we’ve been able to be certain of many important facts. A science book will tell us that the boiling point of water is 212 degrees at sea level; if we don’t believe it then we can test it ourselves. Physics textbooks will tell you that, disregarding air resistance, all objects fall at the same rate. If we don’t believe it we can test it. Even something as complicated as Einstein’s theory of general relativity can be tested today, provided you have access to the right equipment. That’s why they are considered scientific facts. It would do me no good to say “I believe the boiling point of water is 127 degrees!” because even an average joe like myself can do a simple experiment to test that, and the experiment would prove me wrong. But how do you test the theory of evolution? Lets back off from that for a moment. Already I can hear you piping up with useful information about finches and bacterial cultures and natural selection. So before I go any further I want to make something clear. As a YEC I know that evolution is a fact. Natural selection is an observed phenomenon and it definitely leads to the development of new species and the success of species with certain traits over others. We YECs don’t want to argue that. Point us at antibiotic resistant bacteria, colored moths, and finches with changing beak sizes and we will nod our head in agreement. Evolution is an observed fact. What isn’t an observed fact is the theory that all life on earth is descended from a single organism that slowly evolved into all the different species we see today over a period of billions of years. That, in a nutshell, is the evolutionary explanation for how life came to be on this Earth. Somewhere at some point single-celled organisms developed from nonliving matter (or, possibly, were brought to earth by a comet) and those single-celled organisms evolved into simple multi-celled organisms which evolved into more complex organisms and so on and so forth until one of those organisms evolved into a primate-like creature which slowly, over millions of years, evolved into us. This is a grand theory, but there is something about it that makes it different from, say, the theory of relativity; we can’t test it. Before you object, I want you to really stop and think about it. How can you scientifically test something that happened in the past that nobody was around to observe? How, short of a time machine, can you do an experiment on the past? I mean we could do an experiment to see if it is possible. We could, given enough time (billions of years of time, specifically) seed planets with conditions that we believe match the early conditions of earth with the building blocks we believe are necessary to create life and then watch and see what happens. I mean the time scale involved makes the whole process impractical but lets say we do it anyway. Let’s even say that on one of the worlds things progress exactly as the theory claims happened on earth; single celled proto-organisms develop into animals, who eventually develop into humans (or something human like, anyway). Lets just pretend that happens. Would this scientifically prove that it happened on Earth in the past? No. It would just prove that it was possible. It would certainly make it look extremely plausible that it happened on Earth but it wouldn’t prove that it actually did happen. The simple fact is that the scientific method does not work on things that we cannot currently observe. Just look at murder investigations. Science can tell us whose blood is splattered on the walls, what kind of action likely created that kind of splatter, and the chemical composition of the metal residue left behind from the weapon that did it. That is all very useful information, and they are aspects that can be tested multiple times by many different people. What science can’t do is show what exactly happened that night. Lets say the tests show that the suspect’s DNA was on the handle of the knife, and the victim had to have been stabbed by someone matching the suspect’s height and weight. Well, how do we know that it wasn’t someone else who deliberately planted the DNA and just happened to be the same height? Maybe it was the suspect, but the someone else had actually paid him $10,000 to do it. Maybe the killer thought that the victim was a zombie. Science can’t tell us these things; only someone who observed the incident can. That’s why police inspectors, judges, and lawyers exist. The past is not a repeatable experiment; it’s something else entirely. It’s useful to look at scientific theories as falling under one of two different categories. Let’s call one “Observational Science” and the other “Speculative Science”. Airplanes, radios, satellites, and the boiling point of water all fall under Observational Science because they are all things we can observe and test for ourselves. Some things, however, can’t be observed or tested. Bacteria evolving into different strains in a laboratory can be observed and tested; bacteria slowly evolving into every life form on earth over the last 4.54 billion years is something that we can’t observe or test here in the present. The same goes for the age of the Earth. We can’t take the unobserved past and experiment on it in a lab. We can experiment on things in the present to try to get an idea about the past, just like a forensics team experimenting on blood splatters. But science is a limited tool: it can only tell us about things we can observe and test now. When it comes to theorizing about the past we have to take the pieces of what science can tell us and try to create a story that will adequately explain all the evidence. It’s late, and I feel that I’m starting to ramble. There’s a lot more to say, but let me just sum everything I’ve been trying to say up into three bullet points. 1. Science is a tool that works through observation and repeatable experiments. 2. Anything that happened in the unobserved past is by definition unobserved, and cannot be repeated or tested. 3. If we evolved from single-celled lifeforms then it happened in the unobservable, untestable past. Therefore it cannot be considered scientific “Fact”. Now does all this mean that we didn’t evolve from single-celled lifeforms exactly as the books say? No, no it does not. However it does show that it is not hypocritical to disbelieve in that theory and still believe in science and science’s discoveries. This all wasn’t to show you why I believe in a young Earth: just that it is possible to believe in it without committing intellectual suicide. Next week I’ll talk a little about the why. I’m a YEC. What does that mean? When I began this blog I knew that there were three topics I wanted to really delve into that would be fairly controversial. It wasn’t until this post that I decided that I would actually bring them up. Those topics are giving to the poor, abortion, and YEC. I’ve done a couple of posts about giving that I’m proud of. At the same time, poverty isn’t that controversial. I think just about everyone believes we should help the poor; the only controversy is over how to do it, and whether or not we’re responsible for what happens if we don’t help. Abortion has a lot more divisiveness to it. I haven’t gotten around to doing a post about it yet. I really should, but I haven’t. You’ll probably see one someday soon. YEC, if you don’t already know, stands for Young Earth Creationism. I am a Young Earth Creationist. And that’s one of the hardest things to talk about on the internet; especially for a young blogger who’d really like to expand his audience. For most of the internet’s population being a YEC is roughly equivalent to being an ignorant, anti-scientific, fundamentalist kook at best, and a lying, hateful, brainwashing, science destroying, bible thumping, braindead child abuser at worst. I’m not sure that there’s much exaggeration there. I’ve heard fellow YECs be called all those things and worse. It’s not a very popular position. Even a hint of creationism can bring attacks on some of the most well liked and well-balanced of bloggers; just look what happened to Shamus Young. And he’s not even a YEC. But I don’t want to get into a “Look at me, I’m a martyr because people might make fun of me on the internet!” sort of pity post. I just wanted to share why I’ve waited this long to talk about it. The simple fact is that I’m scared. I talk a good game but in all honesty I’m pretty thin skinned. I don’t want anyone to call me an idiot, or laugh at my beliefs, or claim that I’m deluded or brainwashed. Like most of us, I want people to like me. I made my choice a while back: I’m going to talk freely about everything that’s important to me, no matter what happens. If I don’t then what’s the point of writing at all? So enough of this maudlin rambling. Let’s get to the point of this post. Namely, what exactly is a Young Earth Creationist? Young Earth creationism is a branch off of normal creationism and holds that the Earth is significantly younger than what is commonly believed. And I mean really significantly younger. 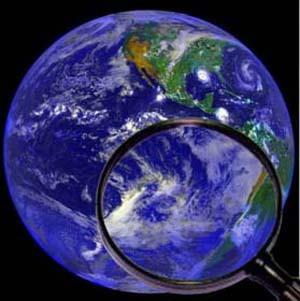 Most YECs believe that the Earth is somewhere between 12,000 and 6,000 years old. That’s quite a difference from the 4.54 billion years you were probably taught in school. We also believe that God created everything; specifically that he created the world and everything in it in the same way that a plain reading of Genesis would give you. Six days of creation and all that. YECs do believe in evolution, but we do not believe that all life is descended from a single life form or that evolution is capable of causing drastic changes in body types over time, such as a dog becoming a dolphin or a lizard becoming a horse. Instead YECs believe that God created the major animal kinds and that all the species we see today are variations of those original kinds that have evolved through natural selection. A simple way to think about it (though not strictly accurate) is by looking at dog breeds. Every dog we see today, from the tiny Teacup Poodle to the massive Great Dane, is known to be descended originally from wolves. In the same way YECs believe that many different species of animals may all share a common ancestor in an ancient, likely now extinct, kind of animal that was created by God. 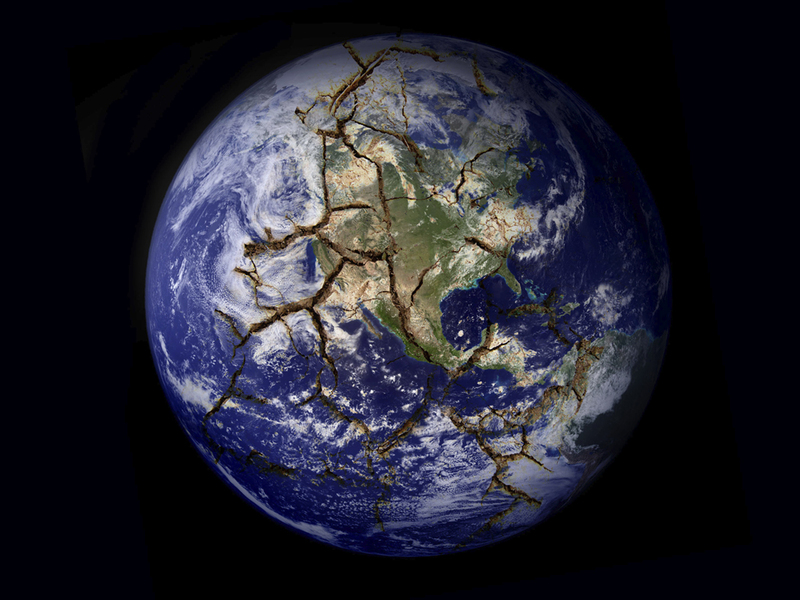 One of the centerpieces of Young Earth Creationism is a belief in a catastrophic global flood; the same flood described in the book of Genesis. YECs believe that the flood can explain most of the rock formations we see today. YECs reject Uniformitarianism which is the long held geological theory that states that geological features were created by small and regular (uniform) processes that occurred over millions and millions of years. It’s fair to say that YECs are the ultimate Catastrophics. Catastrophism holds that most geological formations were formed by many short and intense “catastrophes” separated by long periods of time. The general scientific consenses has moved in favor of Catastrophism over Uniformitarianism these days. The main difference between modern Catastrophism and Young Earth Creationism is that YECs believe that one incredibly massive and global catastrophe (the flood) occurred at some point in the past. YECs generally believe that the Bible is the inspired word of God, and that Genesis should not be interpreted as being metaphorical or poetic but should be understood as making real claims about historical events. -We don’t believe that science is evil or that it doesn’t work. Most YECs believe wholeheartedly in the scientific method. -We don’t believe that dinosaurs never existed, are a hoax, or that their fossils were planted by God to test our faith. Honestly. It’s sad that I have to say that. We also don’t believe that God created the Earth to intentionally appear old. -We don’t believe that evolution is not real or that beneficial mutations do not exist. -We don’t believe that there was no rain before the flood, or that there were no rainbows until after the flood. -We don’t believe that women have more ribs than men. With all that said before I end this post I’d like to clear up some misconceptions about myself. I wasn’t homeschooled, and I didn’t go to some private Christian school. I went to public school. I was a straight A student, and I was a ranked in the top 5% of all students nationwide by the National Merit Scholarship Program. I scored 2060 on my SATs and I’m set to graduate with a Bachelor’s degree this May with about a 3.8 GPA. I don’t say any of this to try to impress you. It’s not really anything to be impressed about. I just want to make it clear that I’m not an idiot. There is nothing wrong with my brain. I love science, I love learning, and I try my best to be objective when it comes to ideas that I don’t share. I don’t know if I always succeed at that, but I try. So that’s a short introduction to Young Earth Creationism. On Wednesday I’ll talk about it in a little more detail. NOTE: I’ve updated the About page recently with the standards I will hold for comments from now on. This is my blog; if you have something constructive to say then go right ahead. If you leave a comment that is insulting, vulgar, or hateful then it will probably be deleted. Don’t worry, I read every comment; if you just want to insult me then I’ll hear it. If you want to publicly ridicule me then you’ll need to get your own blog.